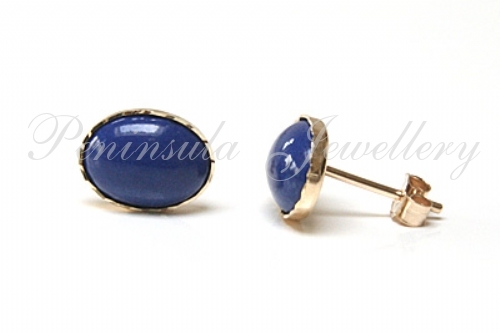 Each earring features one 8x6mm oval cut natural Lapis gemstone with a 9ct gold diamond cut surround. With 9ct gold posts and butterfly backs. Dimensions: 9mm x 7mm. Made in England. Supplied in a luxury gift box - Great Gift! !